A review by the University of East Anglia looked at 39 different studies and found this to be the case but highlighted the positive contribution that communication, training and coaching can make. 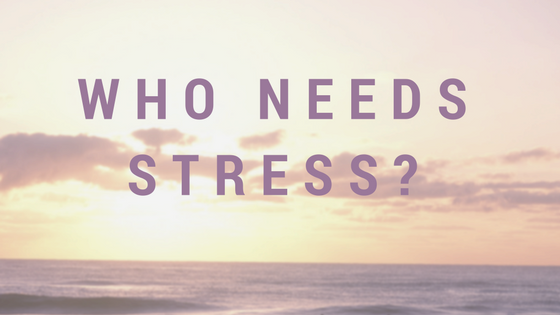 A short article from Australia which explains the relationship between eustress, your tipping point and distress. It also includes a useful acronym to remember next time you are facing a stressful situation. “Your boss makes a meant-to-be inspiring comment about doing more with less, and you smile and nod, but what you’d like to do is upend the conference table”. Strike a chord? Research shows that continual surface acting such as this comes at a high cost to both yourself and your organisation. As many of us don’t have the luxury of doing a job where we can be ourselves all of the time, this article suggests 3 ways to turn your surface acting into less damaging deep acting. We felt we’d struggle to have an argument with anyone wearing bedsocks! But these are only 2 of the 15 tips this article offers, having looked into the Global Council on Brain Health’s recommendations to help the over 50’s get off to sleep and enjoy a long uninterrupted night’s rest. The tips seem suitable for any age group. Research by economists at the Universities of Aberdeen and Bath has been the first to consider the relationship between collaboration within the workplace and absenteeism, with some encouraging results about human nature. Who’d have thought we’d finish our newsletter on such a controversial note? We encourage you to read on, however, to discover why Prof Ian Robertson tells us, “the brain needs to be challenged to be improved” and explains the importance that your state of mind can make to the daily stresses we all experience.